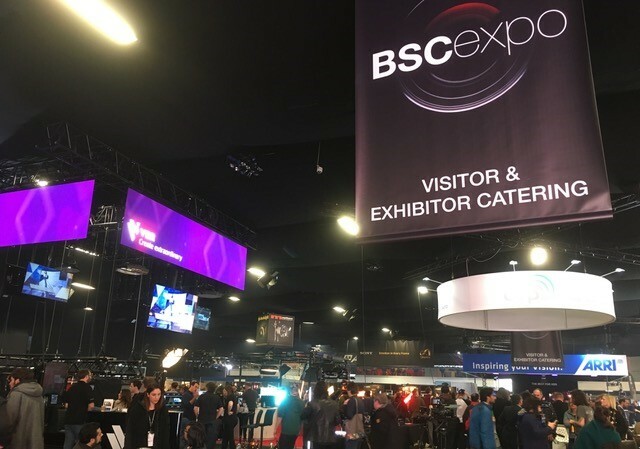 The BSC Expo took place last weekend for another year, and did so repeating venue due to the success of the last edition at Battersea Evolution. 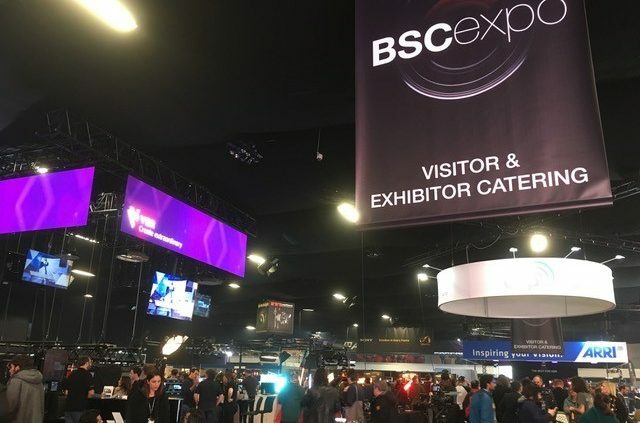 The show, which is organised by the British Society of Cinematographers, is a staple event in the industry where the latest advancements and trends in professional equipment for TV and film productions are announced, and the latest technologies and innovative products and services are showcased. Attended by top-tier manufacturers, high-profile professionals and enthusiasts alike, the event is the perfect occasion to network, keep up to date with information about the industry and even expand one’s knowledge. This was especially possible thanks to the seminar programme that took place over the two days, where cinematographers and technology specialists covered different topics in both creative and technically-driven presentations. Relative to the former, the highlight event was the seminar hosted by John de Borman BSC which included a panel comprised of world-class cinematographers Barry Ackroyd BSC, Guillermo Navarro ASC, Jose Luis Alcaine AEC and Mátyás Erdély HSC, who discussed their approaches to the craft and how their nationalities and upbringing may have influenced their work and vision. Another very interesting and informative seminar was the conversation hosted by Vanessa Whyte with cinematographers Kate Reid and Petra Korner, who talked about their creative approaches to shooting drama, both for TV and feature films, their preparation routines before a job and their working relationships with other key production members, such as the director or producer. The seminars and masterclasses related to technology and technical aspects included presentations from ARRI, Panavision, Fujifilm, FilmLight, Sony, Zeiss, RED, Mission Digital and Mytherapy. It was precisely on one of these talks where ARRI gave in-depth details about their new large-format camera system, unveiled at the beginning of the first day. The Alexa LF (Large Format), their first 4K camera, has a slightly larger sensor than full frame and comes with the new LPL mount (Large Positive Lock). 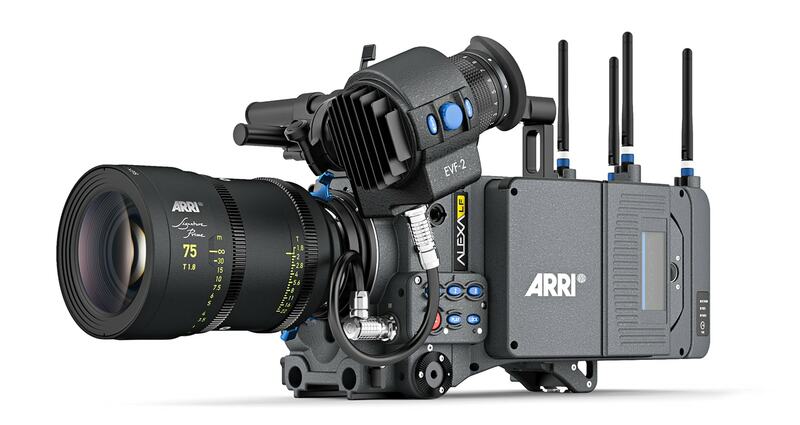 According to ARRI, these two features open an array of possibilities. With the large format sensor, the camera can record in three different settings. The first, LF Open Gate, uses the full size of the sensor and records in true 4K. ARRIRAW is therefore available, though this requires a Codex drive due to the large amounts of data this mode produces, making it also tough to handle it in post. 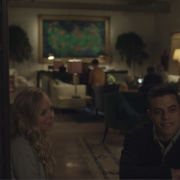 The next mode –in 16:9- informally dubbed “The Netflix mode”, records in 3840×2160, the minimum resolution admitted by Netflix as 4K. 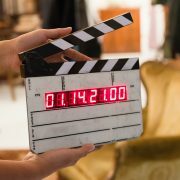 With this mode, ARRI intends to join the competition to have their new cameras working on Netflix productions, which are becoming more and more popular, against the cameras that are being used currently from manufacturers such as RED and Panasonic. The last mode, perhaps the most interesting out of the three, is in 2.39:1 and allows for anamorphic recording without the need of a 4:3 aspect ratio or image de-squeezing. 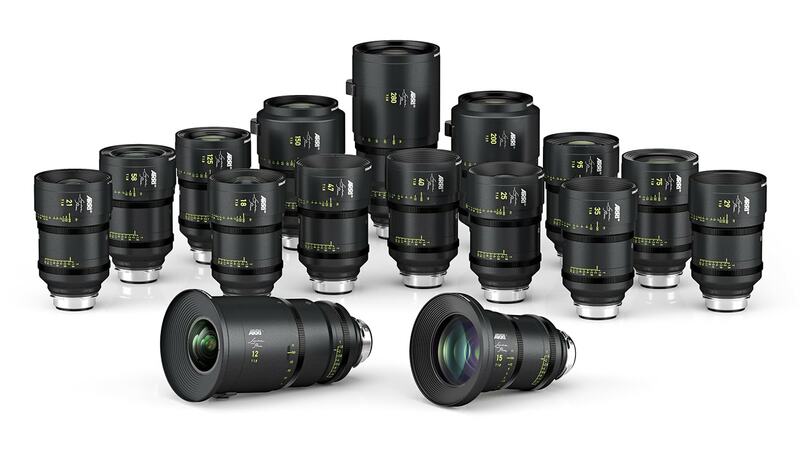 This system is also comprised of a new set of lenses, the ARRI Signature Primes, whose selling point is a shallower depth of field with an improved bokeh due to the LPL mount, that makes faces look better. Thinking of maintaining compatibility with current lenses from third-party manufacturers, ARRI have designed an LPL to PL adapter, allowing to continue to use both Super 35 and Full Frame PL lenses. In addition, the camera has completely functional built-in wireless, ready for monitoring and lens control. ARRI accessories stay perfectly compatible with this camera and so do the current workflow solutions for post-production. 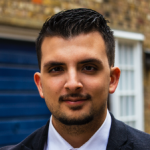 All of these advantages come at a price of course, one of the camera’s main disadvantages with the camera rounding £80k for purchase, along with its heavy weight around 8kg. But ARRI weren’t the only ones displaying large format. In fact, this could be identified as the trend that the industry and camera manufacturers are likely going to follow, according to what could be seen at the show. Panavision also unveiled a new full frame camera, the DXL2. The camera, built in conjunction with RED, features RED’s 8K Monstro sensor and includes all of the REDCODE recording codecs. This camera offers a dynamic range of 16+ stops, a native ISO of 1600, a wider colour gamut, and ProRes 4K up to 60 fps. The camera comes with a built-in Preston MDR, which readily facilitates lens control. 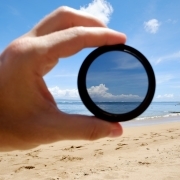 It is also possible to introduce flare with spherical lenses thanks to its anamorphic flare attachment (AFA). Despite of their collaboration with Panavision, RED brought their newest Weapon cameras to the show, exhibiting them with all three different sensors: the Monstro 8K Full Frame, the Helium 8K Super 35 and the Dragon 6K Super 35. The body of the Weapon, much smaller in size in comparison to the DXL2, allows for easy mounting onto gimbals, drones and other types of handheld shots. Much like the LF, the Weapon also comes with built-in wireless peripherals and control and offers an array of lens mounts to make it as compatible as possible. Sony, the last of the full frame competitors at the show, also had their latest Venice camera on display, unveiled long before ARRI’s LF and Panavision’s DXL2. 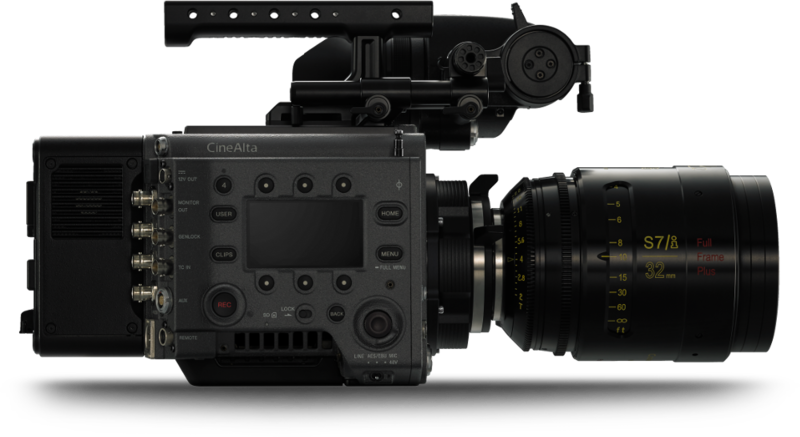 This 6K camera, similar in size to the latest REDs, offers several recording modes such as full frame, anamorphic, widescreen spherical 2.39:1 or Large Format Scope, as well as Super 35 17:9 and 16:9. The camera also features a Dual Native ISO of 500 and 2500 and a high speed readout sensor which minimizes “jello” effect. Even though full frame developments mainly “stole” the show this year, other highlights included Hawkwoods’ Mini V-Lok batteries, Bright Tangerine’s products -mainly showcased as accessories on other products as they didn’t have their own stand- and Kino Flo’s LED tubes prototype lighting. 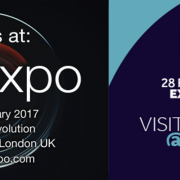 Come See Us at the BSC Expo and BVE!